Put your feeder up the same time you saw your first hummingbird last year or maybe just a little before. Or check with bird watching friends in your area to ask when they put their feeder up. Or check eBird listings to see if they’ve been sighted near you. Or check the Journey North website to see this year’s migration. 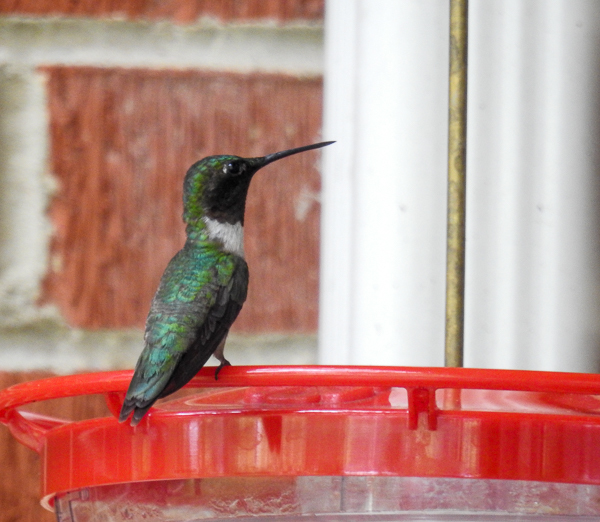 Want to purchase a hummingbird feeder? I looked at two different types of hummingbird feeders in a previous post. These are the two I use every year. You can buy hummingbird nectar but if you can stir sugar into water, you can easily make your own. I show you how in this post. Enjoy your hummers! Happy Spring! ← Where to Put Bird Feeders: Spread Them Out!